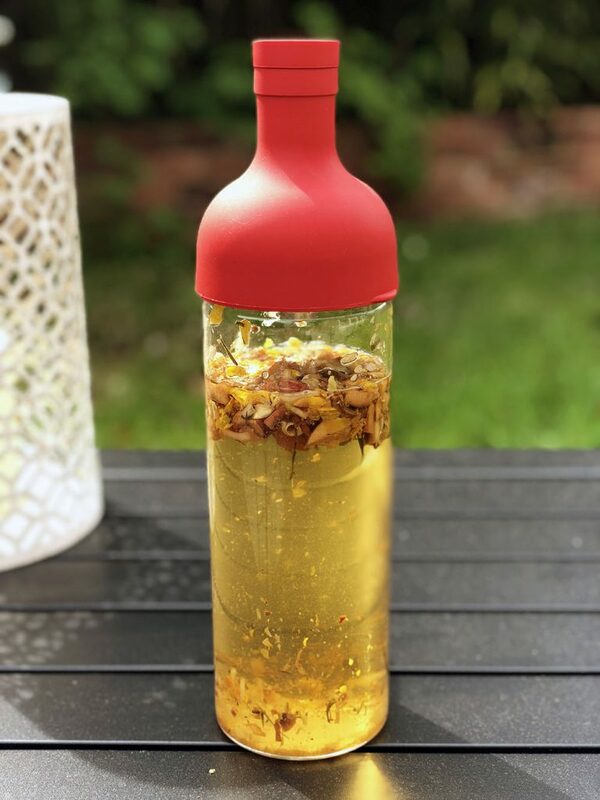 Whittard of Chelsea asked me if I’d like to make a recipe for my readers using some of their products, I jumped at the chance and decided I’d like to put together a deliciously refreshing iced tea recipe for the summer! To make this recipe I’ll be using Whittard of Chelsea’s Mellow Melon alongside their Matcha Mango & Moringa tea. I decided to use Mellow Melon as the base with Matcha Mango & Moringa ice cubes, blended with lemonade for some extra sparkle! I’m using my cold brew bottle which I highly recommend if you make iced tea on a regular basis but you can also use a normal bottle and strain it at the end. Add 5 teaspoons of Whittard of Chelsea Mellow Melon to the bottom of your bottle, fill with lemonade and put the lid on. Place the bottle in the fridge and leave overnight to cold brew. Add 5 teaspoons of Whittard of Chelsea Matcha Mango & Moringa to a tea strainer and top with just enough boiling water to cover the tea and leave to steep for 5 to 10 minutes, this will make a superstrong concentrated tea for the ice cubes. Leave the Matcha Mango & Moringa concentrated tea to cool and pour into your ice cube mould. Place your ice cube mould into the freezer and leave overnight. The next day simply add the ice cubes to the cold brewed Mellow Melon and either pour directly from the bottle if using a cold brew bottle or strain if using a normal bottle. Find some sun and enjoy! I hope you’ve enjoyed this recipe and had fun making it, it really is the perfect iced tea for the summer months ahead and is super easy to make! 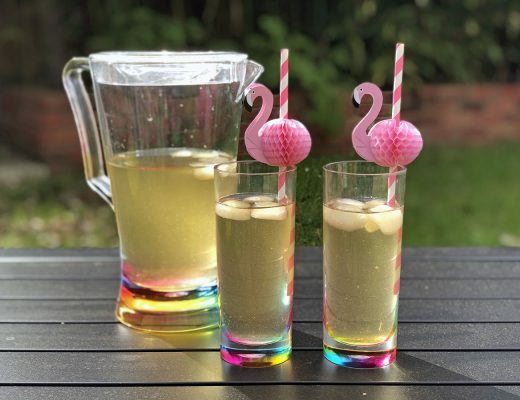 The products used in this recipe are Matcha Mango & Moringa, Mellow Melon and either a cold brew bottle or any tea strainer/infuser but I recommend Whittard of Chelsea’s Mug Infuser or a simple sieve to strain the tea and an infuser to steep the tea. A huge thanks to Whittard of Chelsea for sending me the tea to make this recipe and thanks to all of my readers! 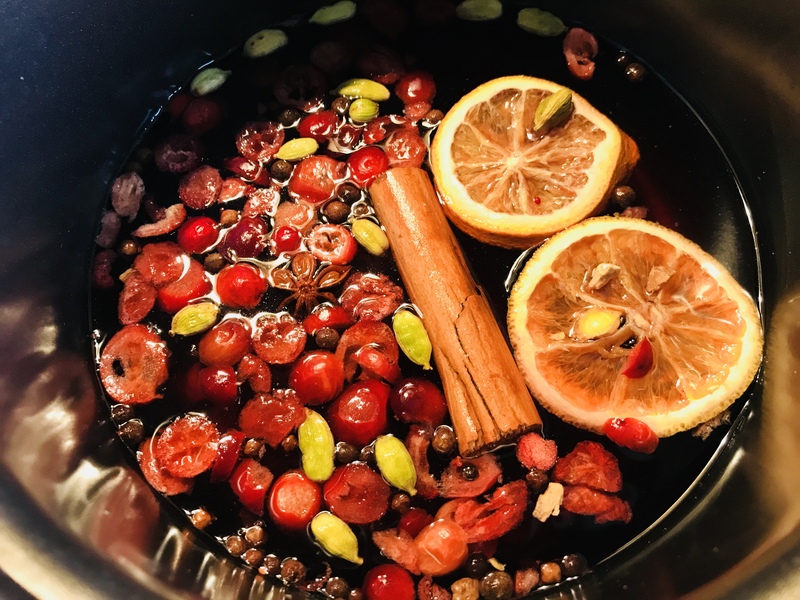 This year I decided I would like to make a tea based mulled wine recipe that has all the flavour of traditional mulled wine but with no alcohol, using tea instead of the wine. This recipe uses Whittard of Chelsea Mulled Wine tea as the base, it was the best I tried and really replaces the wine flavour without losing the traditional mulled wine vibe! 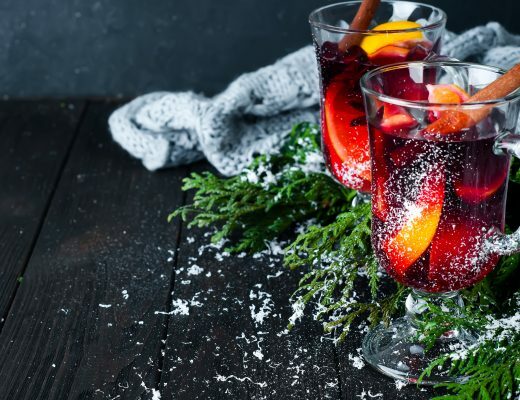 Measure 850ml of boiled water and use a looseleaf tea infuser to steep the Whittard of Chelsea mulled wine tea in the water for 3 to 4 minutes or longer if you’d prefer a stronger flavour but remember a lot of the flavour comes from the dried ingredients. Pour the prepared tea into a saucepan and add the dried ingredients and the sugar and simmer for 5 to 10 minutes with the saucepan covered to ensure you don’t boil any of the liquid off. Check the strength, leaving to simmer for longer if required. Once the tea is the desired strength use a sieve to strain the liquid, making sure that the mulled wine is free of the dried ingredients. 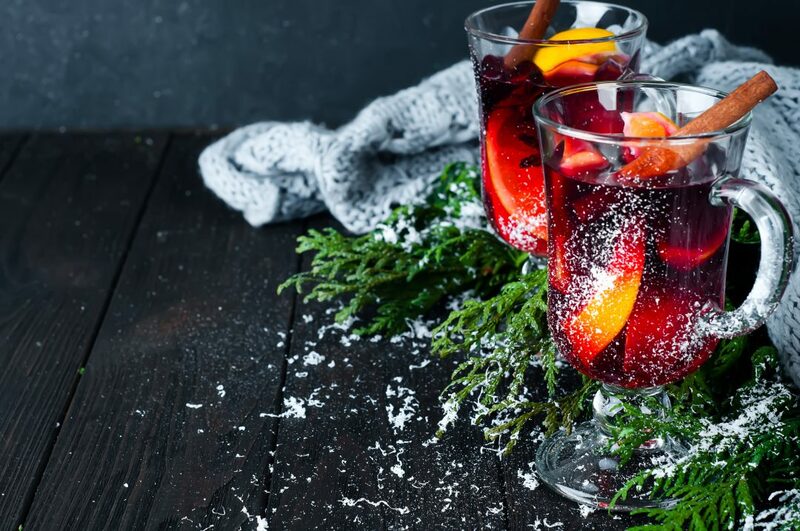 Pour the mulled wine in to festive teaware and enjoy warm! 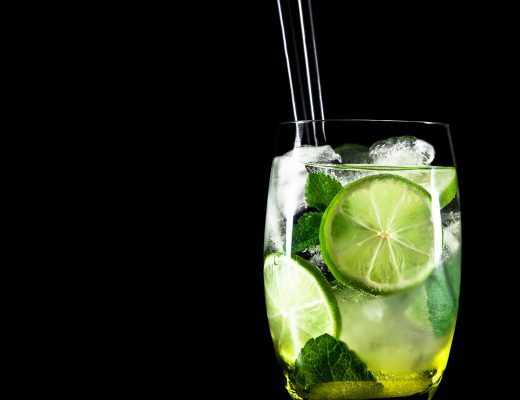 This is my recipe for an amazing non-alcoholic matcha mojito tea cocktail that is perfect if you want an exciting cocktail with a little kick for this festive season, without alcohol. The key ingredient is the Bloom Mojito matcha which gives an amazing flavour to the cocktail alongside the matcha vibes. 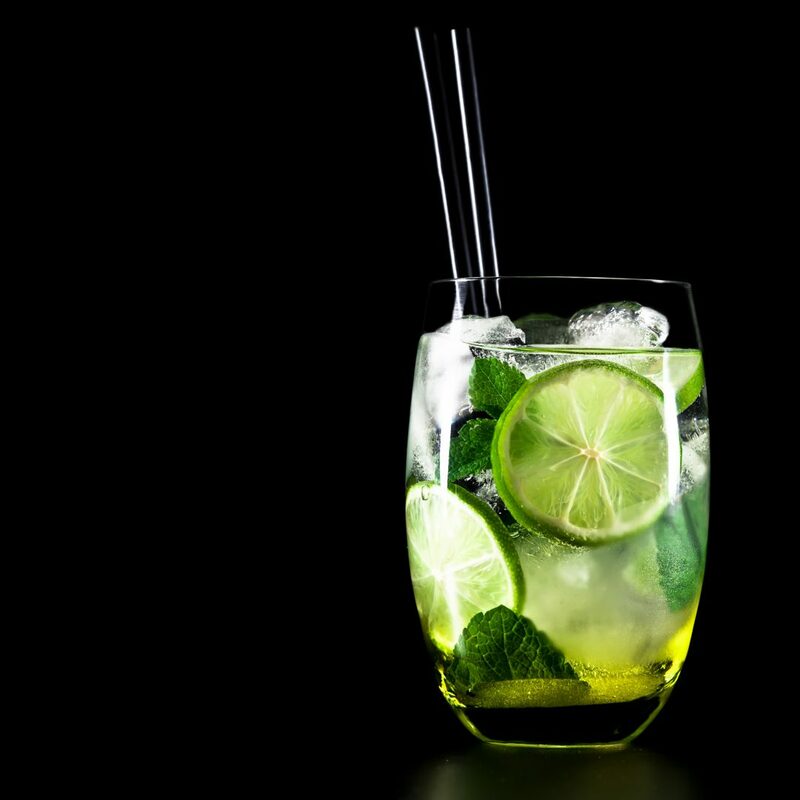 You could probably use unflavoured matcha but the mojito matcha really does bring a special something to this cocktail and is one of the best flavoured matchas I’ve tried (see my matcha comparison post). Cut the lime into segments and crush with mint leaves and sugar. Add crushed ice on top to stop the mint from floating to the top when you drink. Sieve and whisk the mojito matcha in a little water and add over the ice, top with soda water. 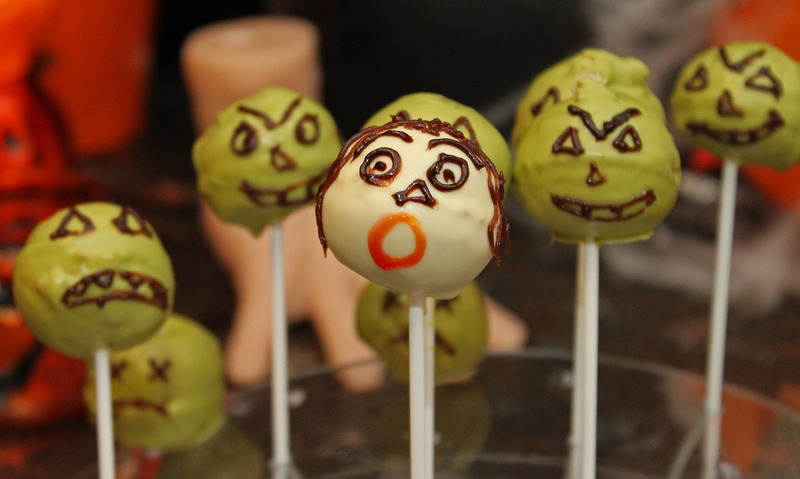 I wanted to make something horrific for halloween and I decided cake pops would be perfect. 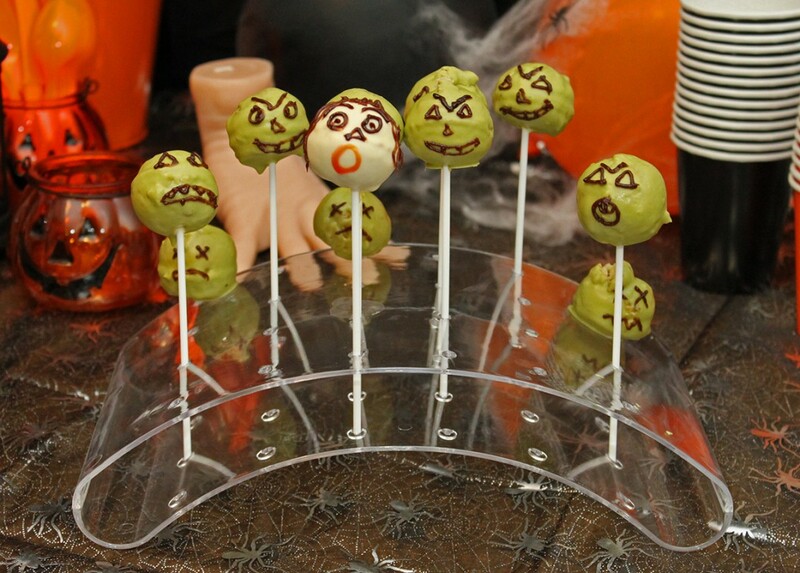 You can eat them yourselves, make them with your family or even give them to trick or treaters! 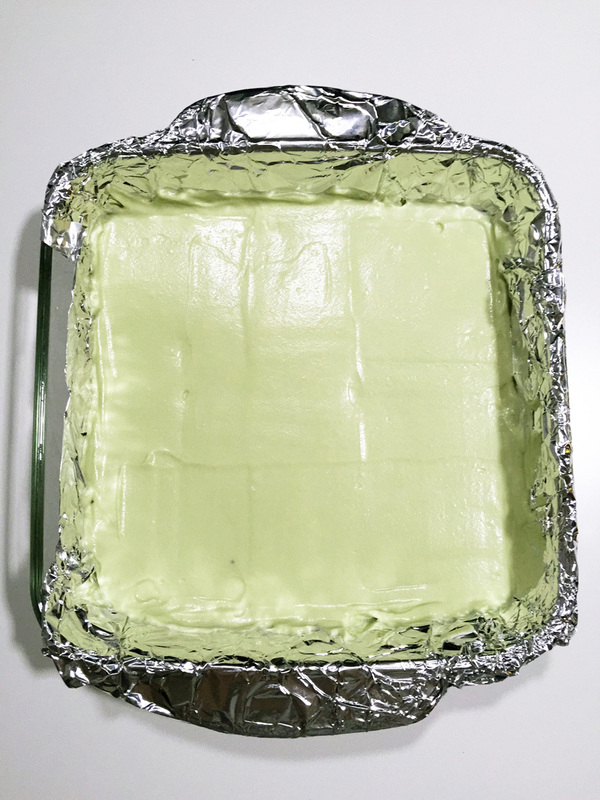 I made white chocolate chip vanilla cake and covered them in matcha white chocolate, matcha is a fantastic natural alternative to green food colouring and tastes divine. 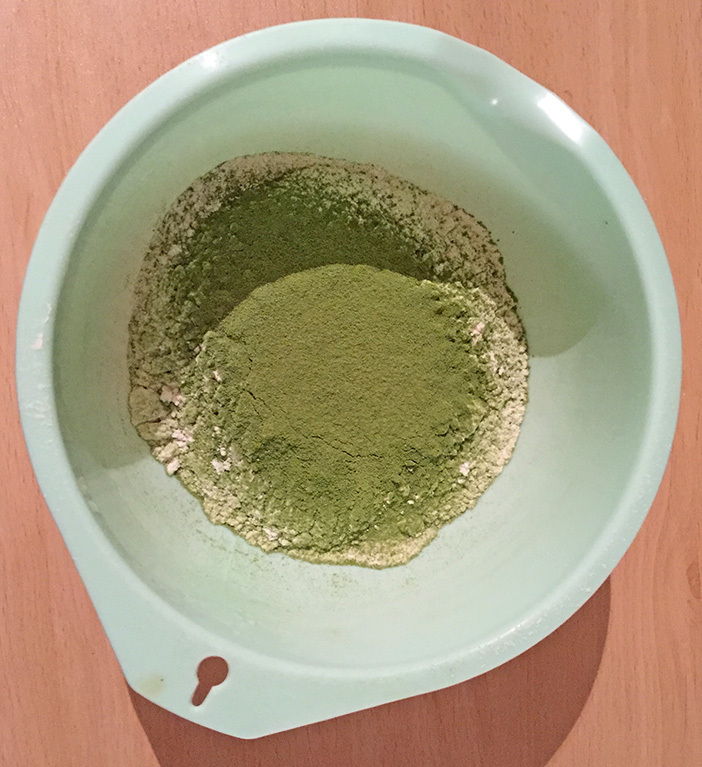 I use Kiss Me Organics Culinary Grade Matcha , as it has a great taste and is also really green and it gives the brightest green colouring I’ve found, it’s also cheap for over 100g! You’ll also need a cake pop mould, I used this Sweetly Does It mould. Originally the plan was to use orange food colouring to make orange chocolate and decorate them as jack o lanterns but the food colouring I bought was awful and wouldn’t make the white chocolate anywhere near the orange I wanted. 5. Add the milk and stir until the batter mixture is smooth and your desired amount of white chocolate chips. 6. Grease your cake pops mould thoroughly in all the holes and spoon the mixture in to the holes, add the lid of the mould. You can use a cocktail stick to prod the cake pops through the hole in the mould, to check if they’re cooked. 8. Remove the cake pops when they’re ready and leave on a wire rack to cool. Take the top of the mould off and you should have perfect cake pops! 9. 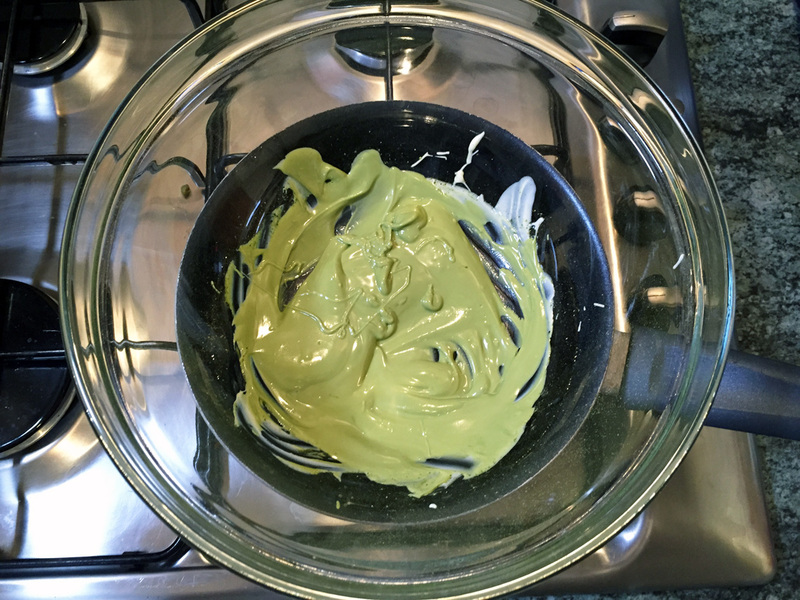 Last step is to melt some white chocolate in a bowl over a pan of boiling water, add the amount of matcha you like. Dip the cake pop sticks in the white chocolate and leave them to set slightly, this will help to secure the cake pop in place on the stick (you can see my fallen cake pops as zombie heads in the background lol). 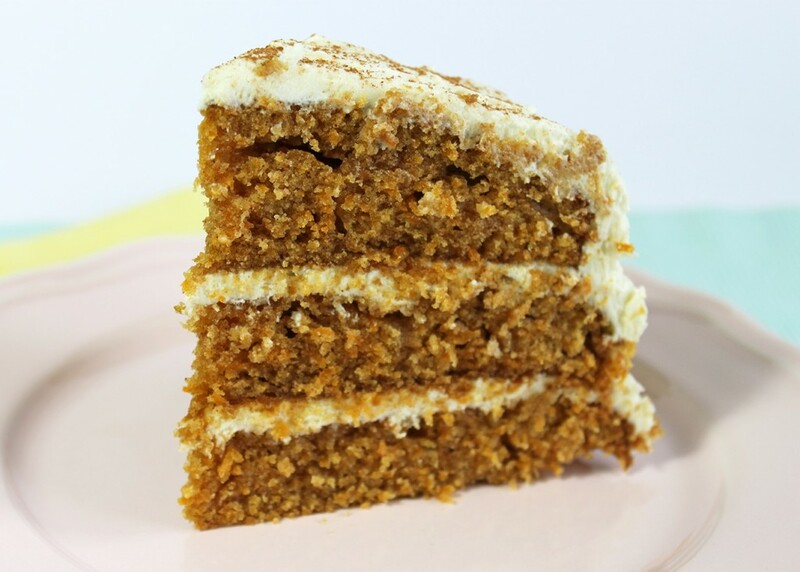 I thought this cream cheese frosting would be paired perfectly with the subtle spiciness of moist carrot cake and this recipe was born! 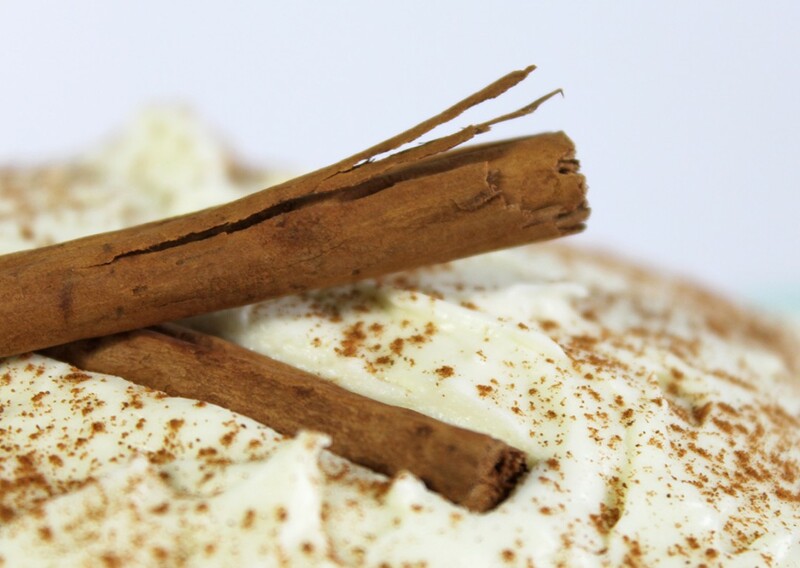 Beat sugar, eggs and oil with a handheld electric whisk or mixer until well incorporated. 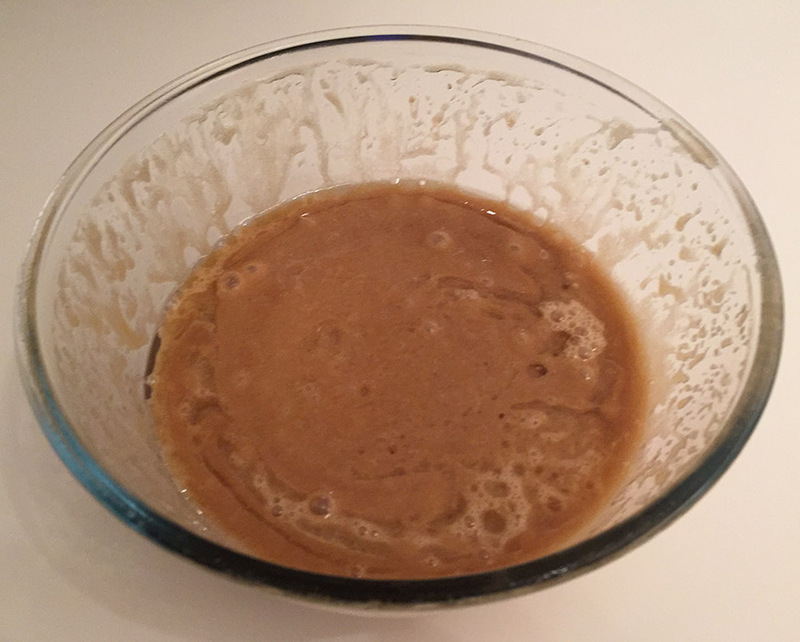 Slowly add bicarbonate of soda, baking powder, ginger, cinnamon, flour, salt and vanilla, continue to beat until mixed. 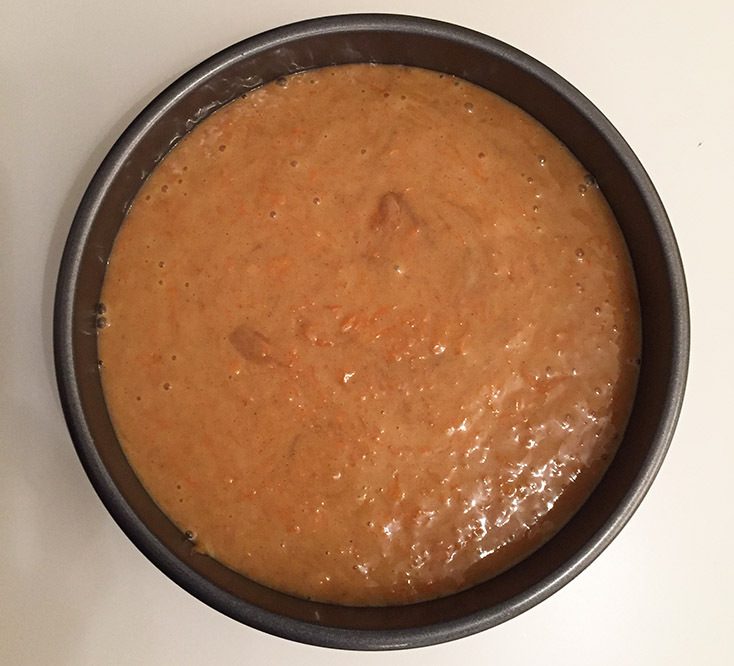 Stir in the carrot and transfer the mixture to 3 cake tins, with greaseproof paper on the base. Smooth the mixture over with a palette knife or by tapping the trays on the work surface. Bake in the oven for 20-25 minutes or until golden brown. Let the trays cool a little bit and then transfer to wire racks to cool completely. 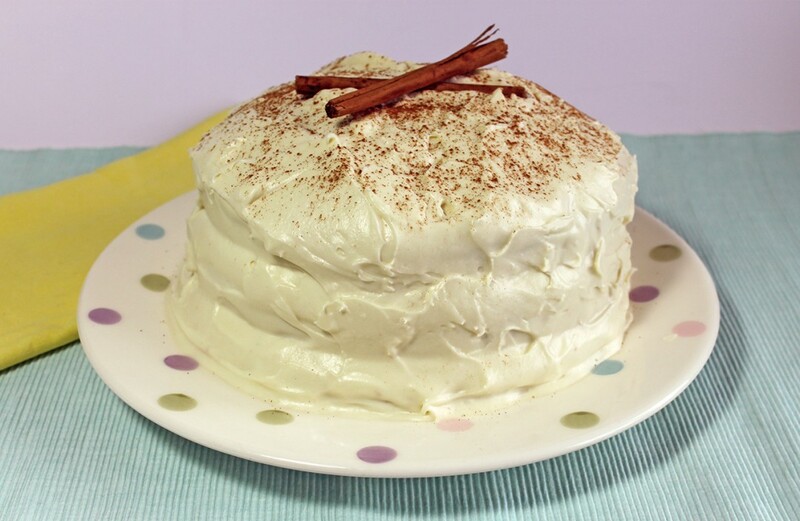 Beat butter and icing sugar together with an electric whisk on a slow speed until combined. Add the cream cheese in one go and beat gently until incorporated. 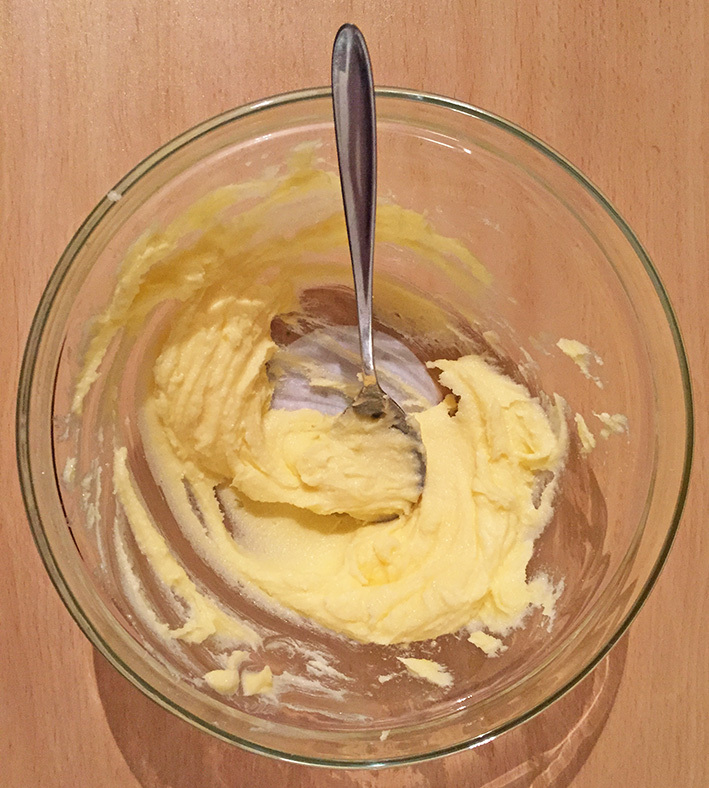 Turn the mixer up to a high speed and continue beating until light and fluffy, approximately 3 -4 minutes. Be careful not to overdo it to avoid the frosting becoming too sloppy. 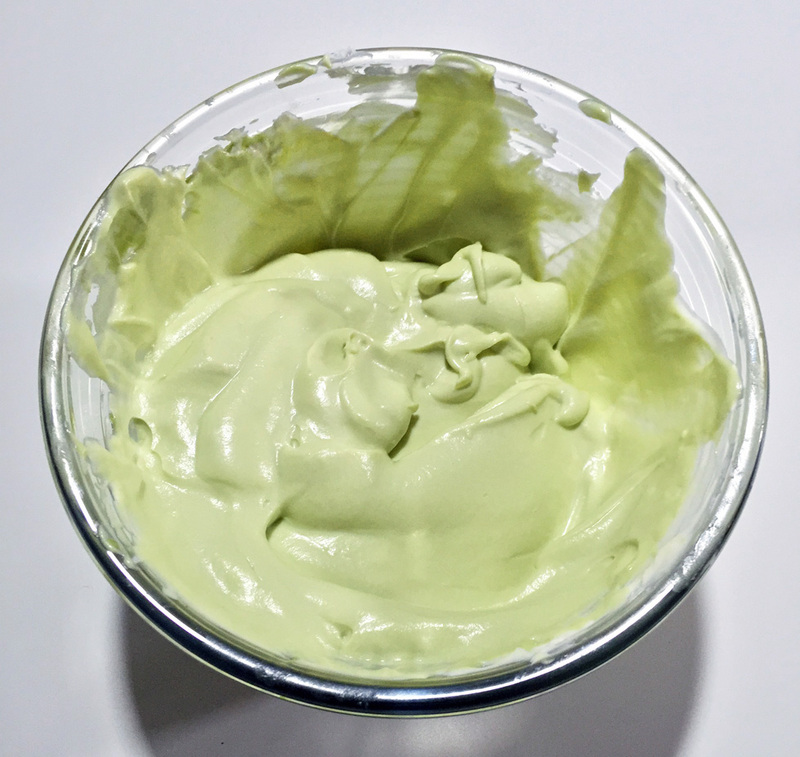 Finally add the matcha honey and whisk in on a slow speed, your best bet is to add it gradually and keep tasting it to get the flavour to your desired strength. Pick the layer with the most even dome to be the top of your cake, then use a bread knife to slowly take a layer off the top of the other two layers to flatten them out. This will make frosting easier, make the cake more stable and also look better when the cake is cut. 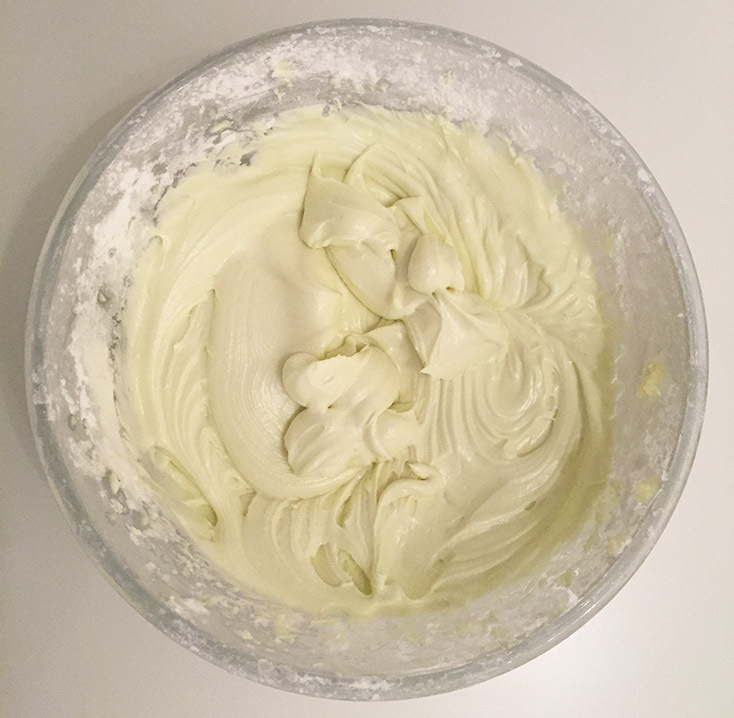 All you have to do now is spread frosting on the bottom layer, add the middle layer and do the same to add the top. Then spread remaining frosting on top of the cake and work it down the sides. You can either try for a flat smooth look with an offset spatula or keep it rough and fluffy like mine. 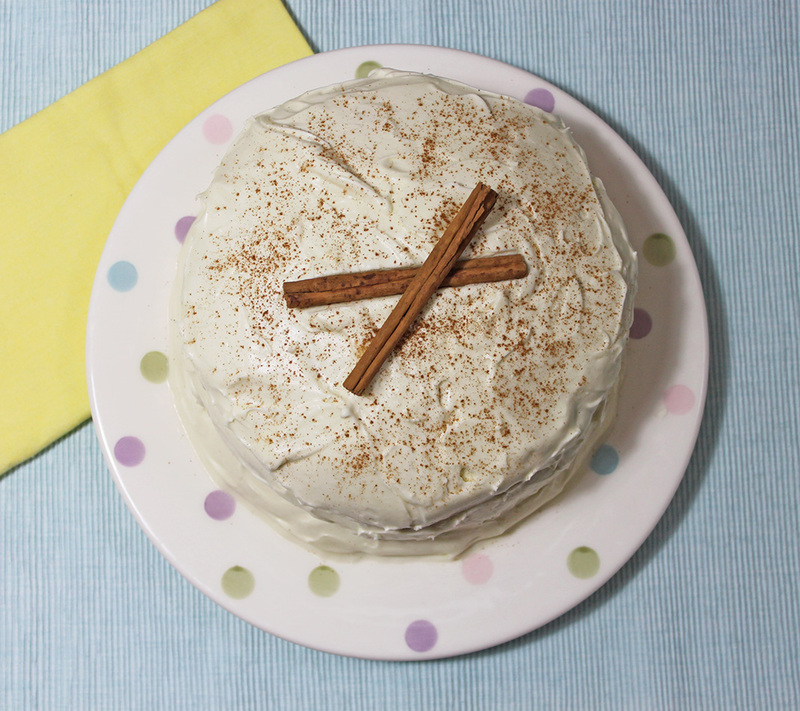 I hope you’ve enjoyed this recipe, I adored making it and I was thrilled with the results. It’s the perfect cake to share, I divided mine up and gave some to my mum and my boyfriend’s parents and they loved it! Definitely check out the matcha honey from Bluebird Tea Co., it’s such an easy way to get more matcha in to your diet and tastes amazing! 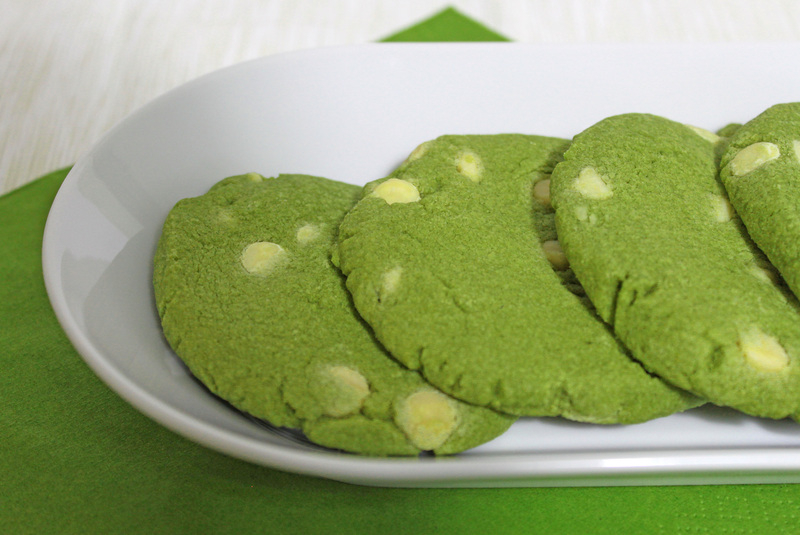 Recently I’ve been trying out a few new matcha recipes, including these Matcha White Chocolate Chip Cookies. 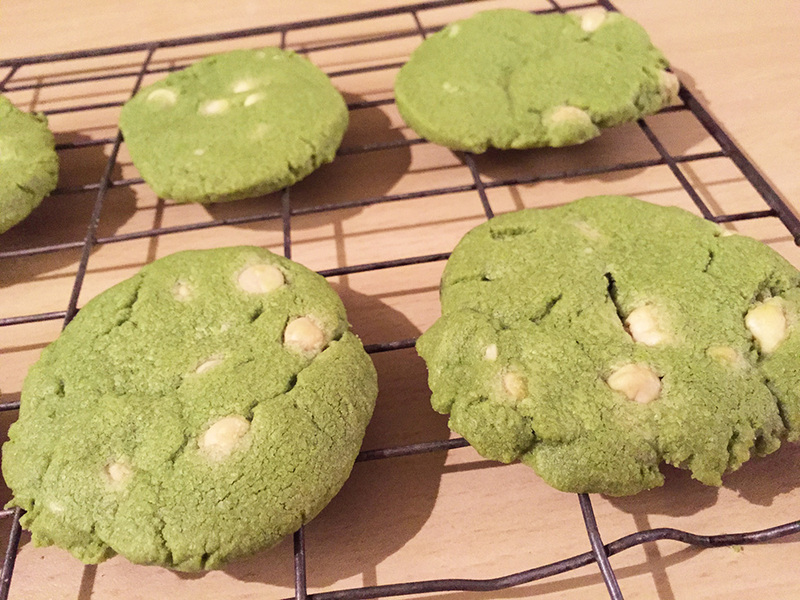 I wanted their main flavour to be matcha but without any bitterness that sometimes accompanies matcha, I finally perfected the amount of matcha and white chocolate with buttery goodness. These work well as soft gooey cookies but are also equally divine if you leave them in a tad longer and let them morph in to the best biscuits ever! 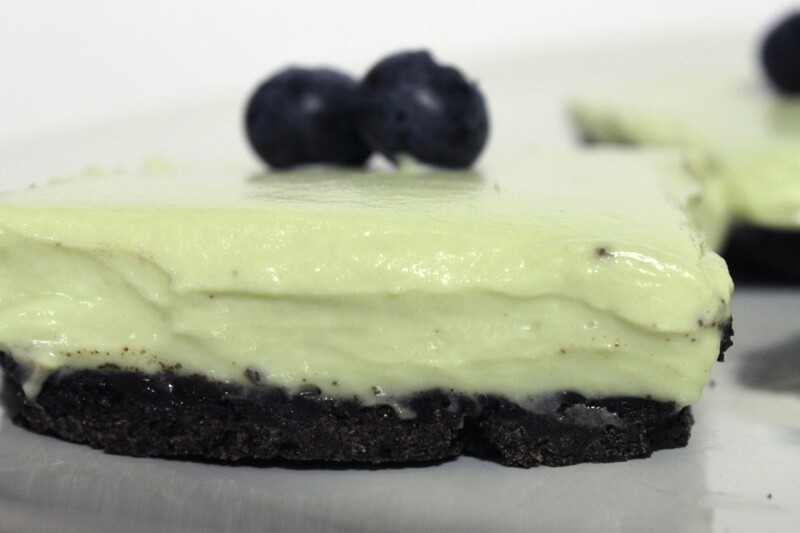 I used Culinary Grade Matcha from Kiss Me Organics for this recipe, as it’s fantastic quality at a great price! I found their matcha to be an all round winner, especially at culinary grade prices and it produces a vivid green colour without needing so much matcha that you sacrifice the flavour. 1. 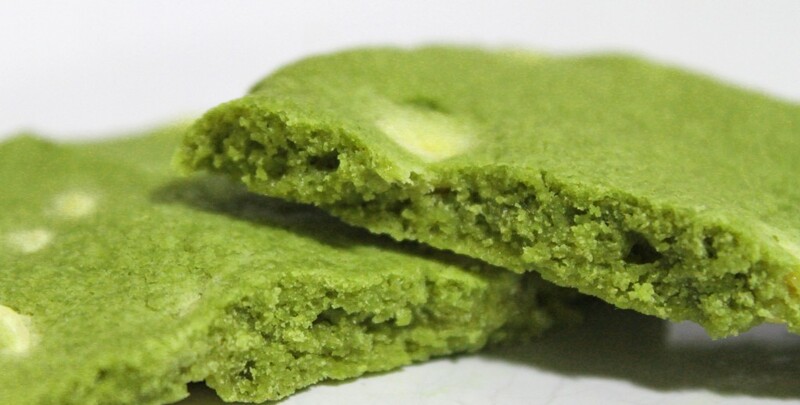 Sift the matcha and flour, matcha lumps is definitely not what you want! 5. Once everything is well mixed you’ll want to roll the dough in to a log shape and wrap it in cling film, then refrigerate for a few hours. Refrigerating firms the dough up and allows you to cut the log in to roughly 8mm thick slices, depending on how thick you like your cookies. 7. Remove the cookies from the oven and place on a wire rack to cool. 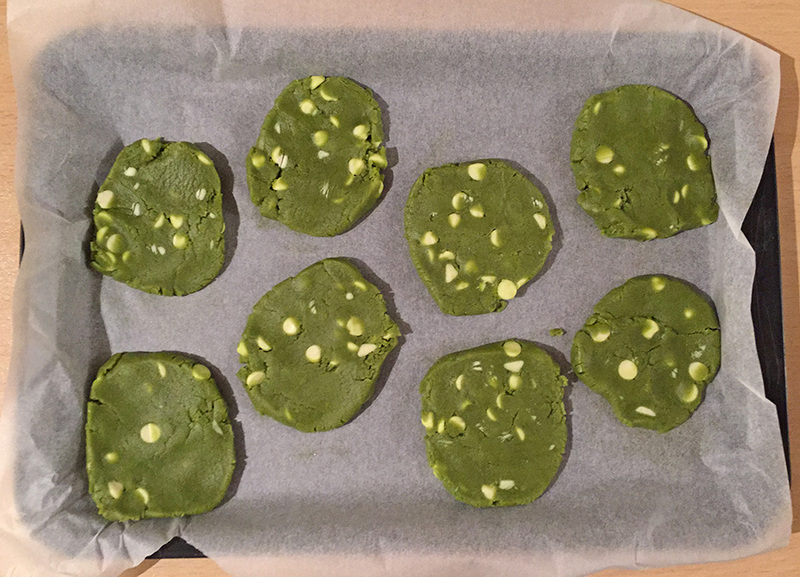 Thanks for taking the time to read this recipe and I hope you enjoy making these fantastic tasting matcha cookies! I’d love to hear how you get on, you can find me on Twitter, Facebook and Instagram. 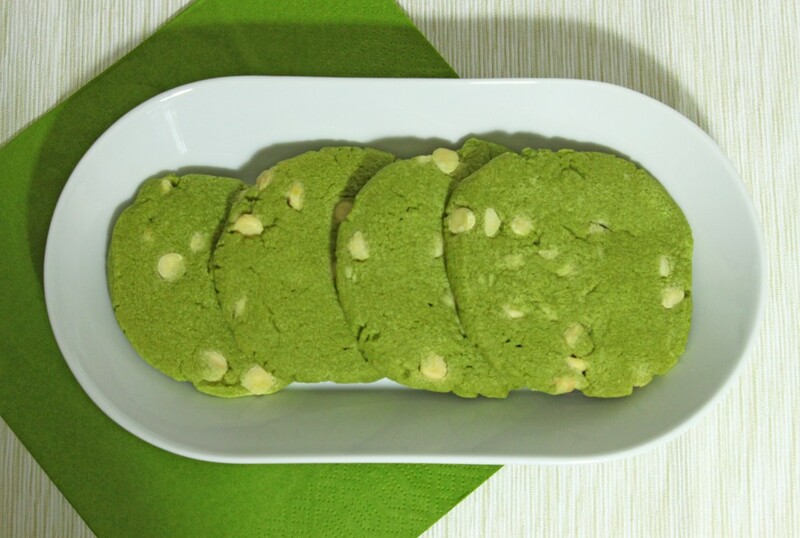 If you’re looking for the perfect matcha for these cookies I really recommend culinary grade matcha from Kiss Me Organics . Get more recipes straight to your inbox! 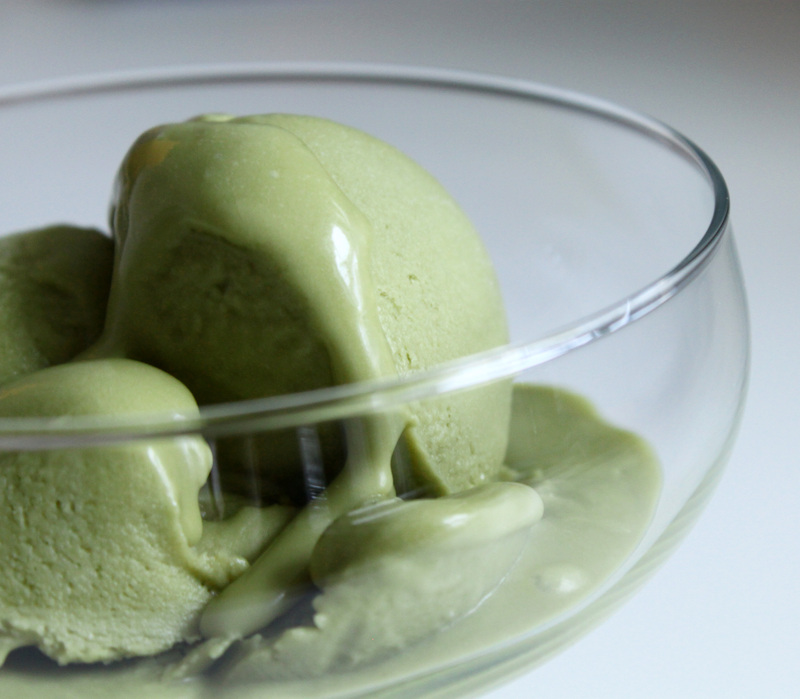 Last week I joined The Hectic Vegan and his ice cream makers and made my Matcha Green Tea Coconut Ice Cream. This ice cream is really easy to make, tastes amazing and is 100% vegan which is also a massive bonus. 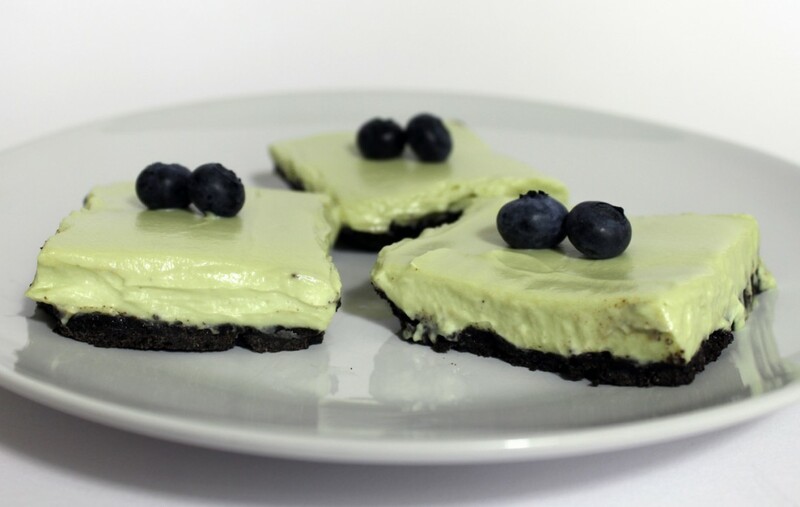 Recipe for Matcha White Chocolate Oreo Cheesecake Bars! I’ve been perfecting this recipe for a few weeks now and finally feel that it’s perfect. The green tea flavour provides a delicate and refreshing flavour alongside the velvet smooth cream cheese, white chocolate and matcha are a matcha made in heaven (couldn’t resist!). These cheesecake bars are beautiful to have on a warm summer day, with the cool slightly sour cheese flavour bouncing off the super sweet oreo white chocolate base. I used matcha from Bluebird Tea Co. but if you wanted to keep the cost down you could use culinary grade. I’ve heard fantastic things about Vitalife matcha so this is also a good choice. I used 1 tablespoon in this recipe and I think it’s perfect for sharing with people that aren’t matcha freaks as the hint of tea is quite subtle. If you’re a regular consumer of matcha then you may want to add a little more, up to about 2 teaspoons. The ingredients are easy to double up which I’ll be doing from now on, these cheesecake bars don’t last long once my family notices them in the fridge, even our cats come running when they smell them! 1. 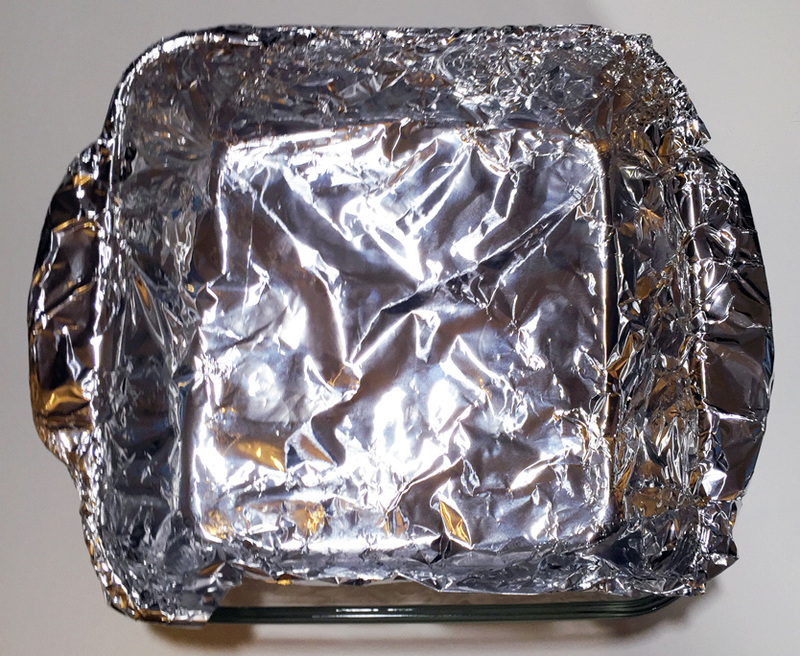 Line a 9×9 inch tray with kitchen foil, ensuring the sides are covered. 2. 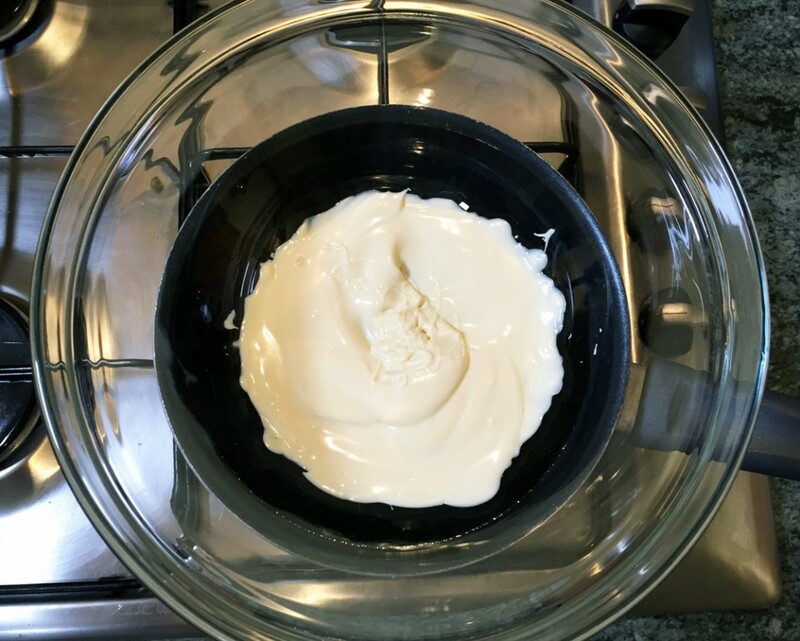 Melt the white chocolate chips in a bowl placed over a saucepan of simmering water, stirring regularly. 3. 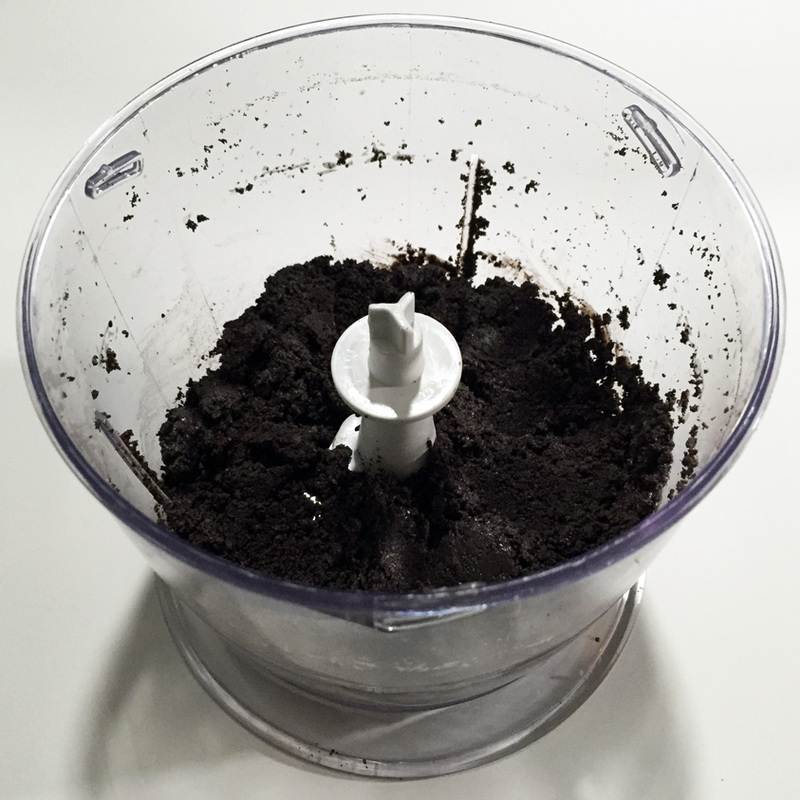 Use a food processor to finely grind the Oreos. Add 2 tablespoons of the melted white chocolate and blast it with the food processor again. 4. 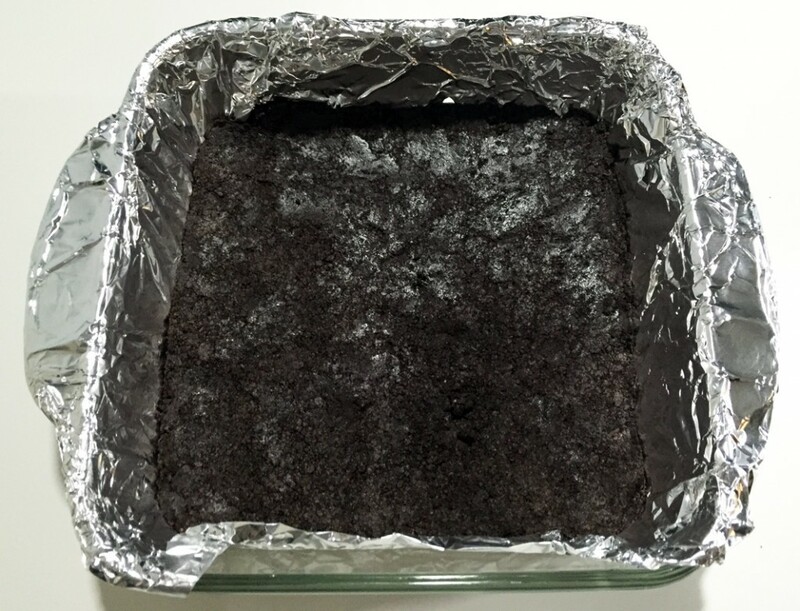 Firmly press the Oreo chocolate mixture in to the bottom of the foiled tray, use the back of a spoon to cram it in so it stays together as the cheesecake base. Chill the base in the fridge while you make the topping. 5. Stir the matcha powder in to the white chocolate until smooth. I use a little mini sieve to keep lumps to a minimum. 6. 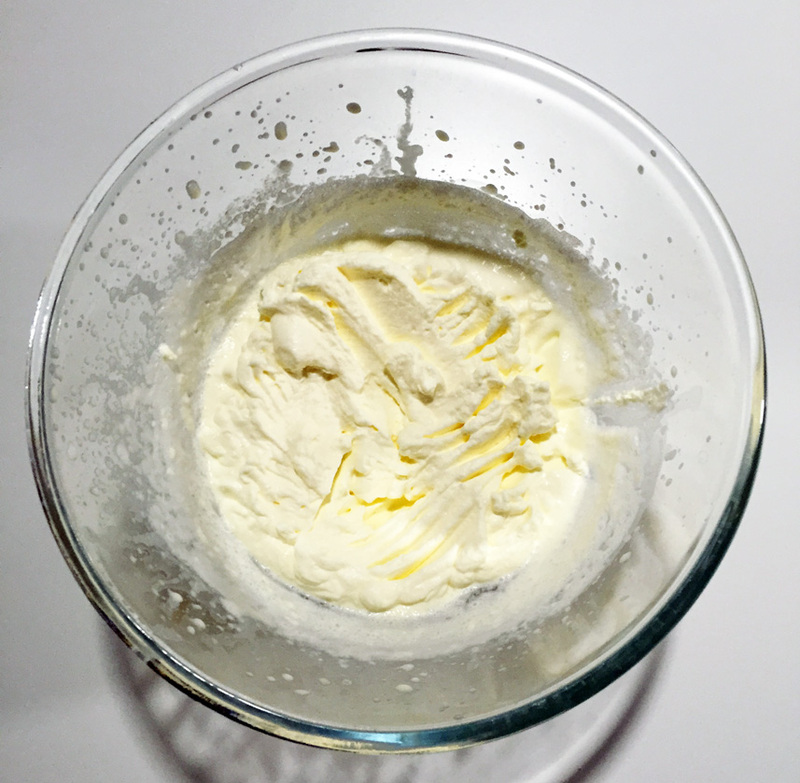 Use an electric whisk to beat the whipping cream until peaks form. 7. 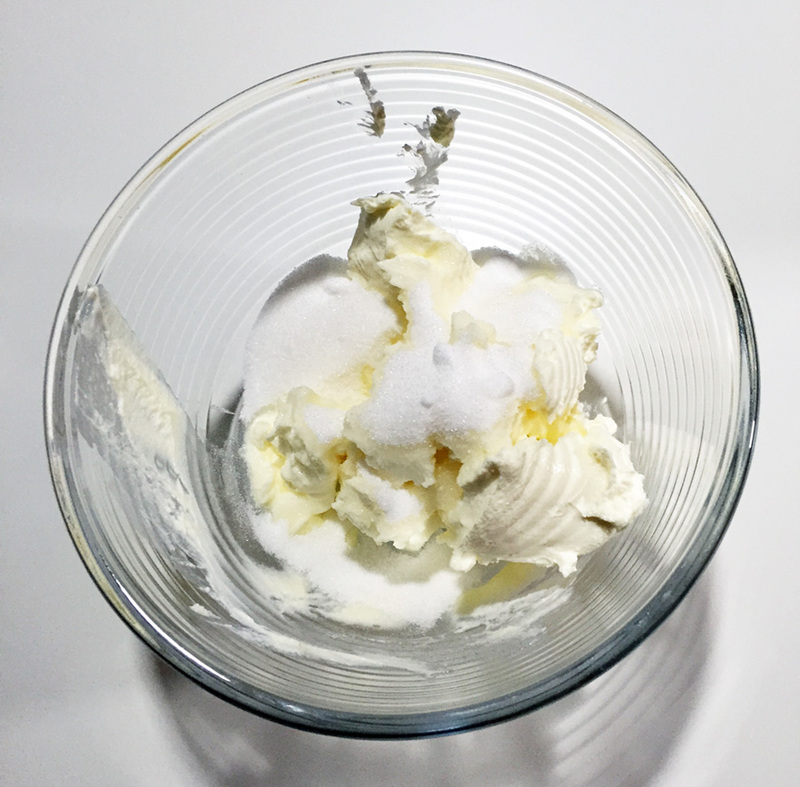 Use a new bowl to combine the sugar and cream cheese, beat until smooth. 8. Next add the white chocolate matcha combo and slowly fold in the whipped cream. 9. 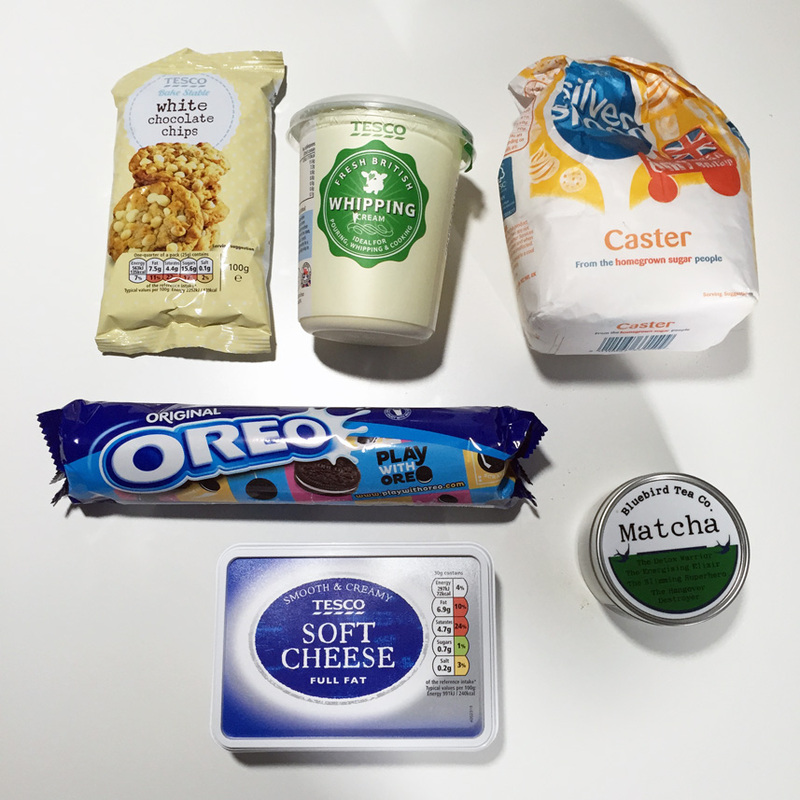 Spread the mixture over the Oreo white chocolate base. I used a spatula held vertically to get the finish as flat as I could. I hope you’ve enjoyed my recipe and would love to know how these turn out if you decide to make them. You really won’t be disappointed, these are delicious and are the perfect treat for every occasion! If you’d like more recipes, reviews and general tea information then you’ll love my newsletter! 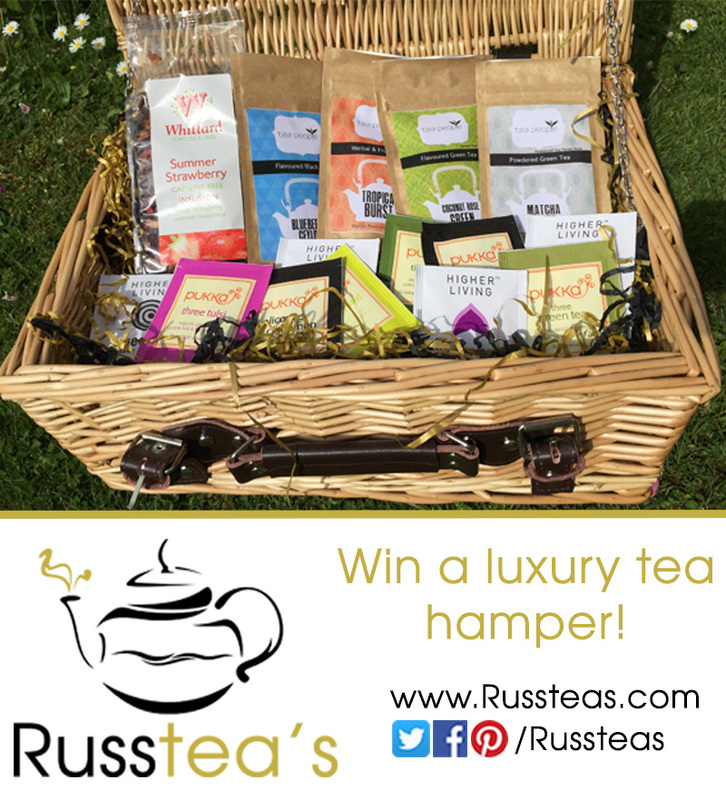 You can win matcha and a load of other fantastic tea in my competition to win a luxury tea hamper full of awesome tea! Check it out. Thanks for reading! Hi there, welcome to my blog about my biggest passion, tea! My name’s Russell, my lifetime nickname has always been Rusty or Russtea as my friends now call me (my surname even begins with T!). Not much beats the feeling of taking a moment at the end of a busy day and relaxing with your favourite mug, filled with sweet fruit tea, or waking up with black tea infused with vanilla shortbread. 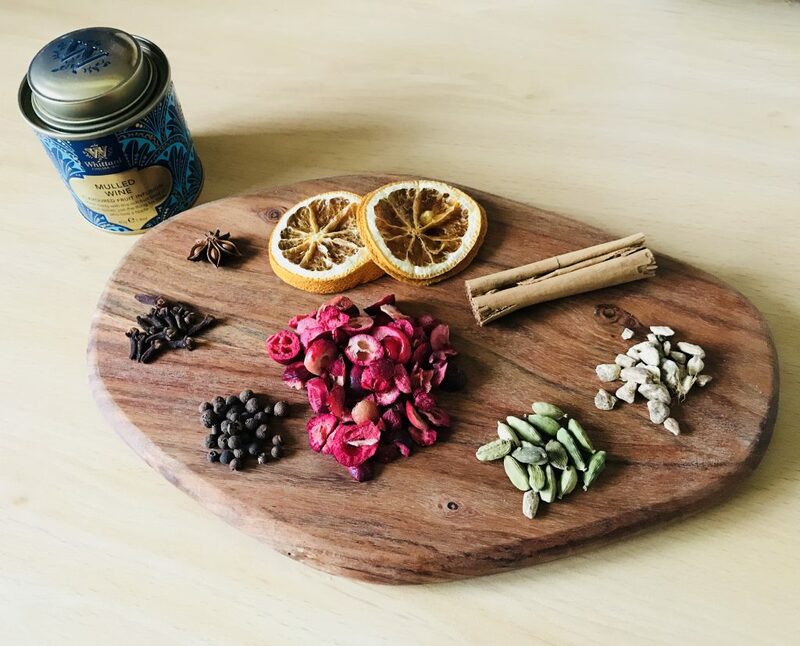 Why not take a moment now, make your favourite tea and join me as I share my tea related experiences? If you love tea, join my mailing list so you don’t miss out on updates from my blog and upcoming posts! The Latest Whittard of Chelsea Offers!